» Have you ever made a nice cup of tea (e.g. at work) and forgotten to remove the bag in time? I do. And my colleagues do. And the result is a lot of cold and bitter tea being wasted. To stop this, I developed a USB powered automatic teabag remover. 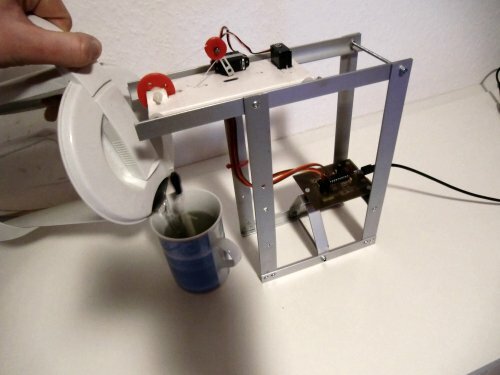 » You simply clip the teabag to it, pour in hot water and press the start button. 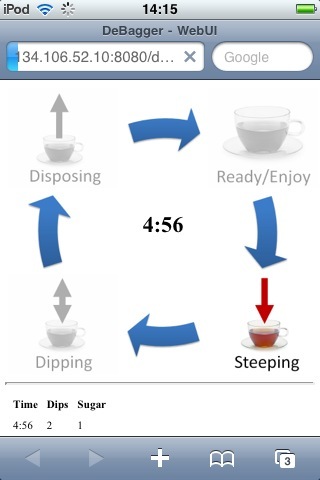 The teabag is being inserted and removed automatically after the chosen time is elapsed. The DeBagger also dips the teabag the configured number of times to ensure a maximum of taste. The result is a constant quality tea that has been steeped exactly the desired time. Even if you are temporarily out of office. We like it a lot. Take a look at this video to see how it works. 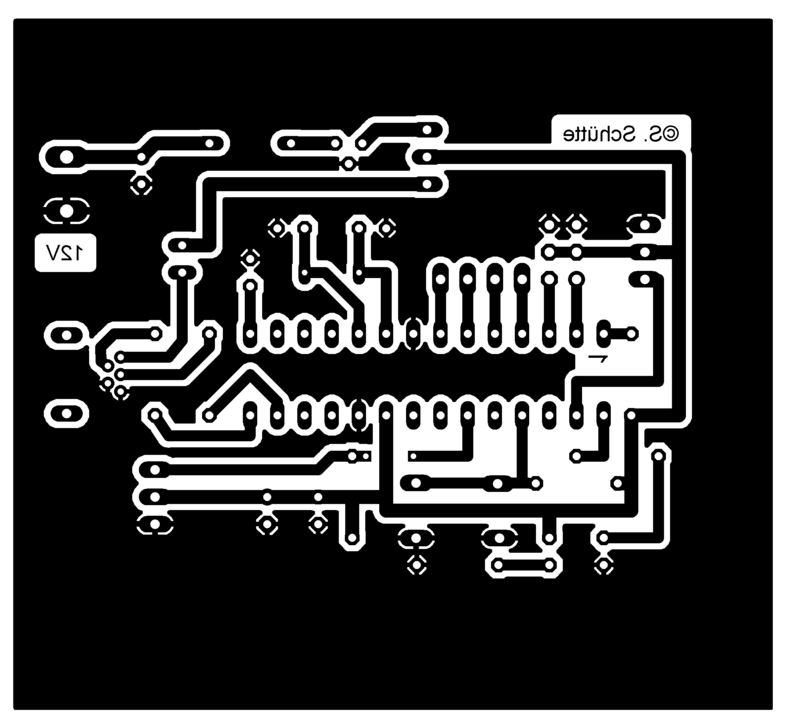 » If you want to build it yourself, you can find the source code with the PCBs (Eagle-Format) here. 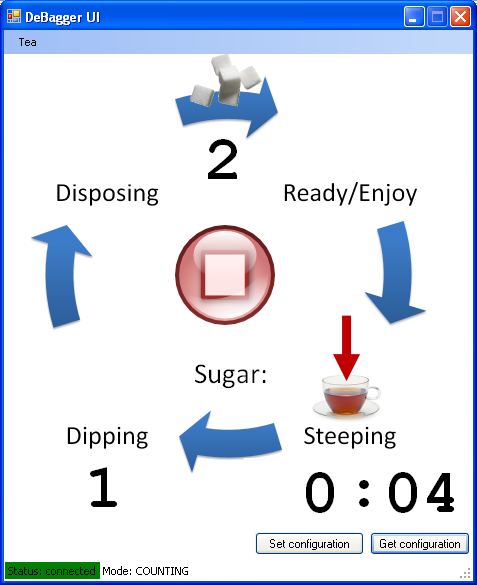 The software contained in this file offers an option for configuring the number of sugar cubes to put into the tea after steeping. 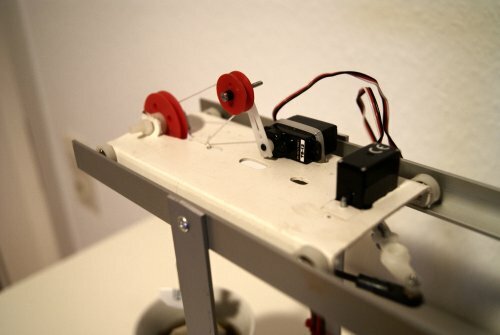 The corresponding hardware extension is shown here. But you can use the software without it. » Here are some more detailled pictures. The heigth is about 24cm and the length also. Depth is 8,5cm. 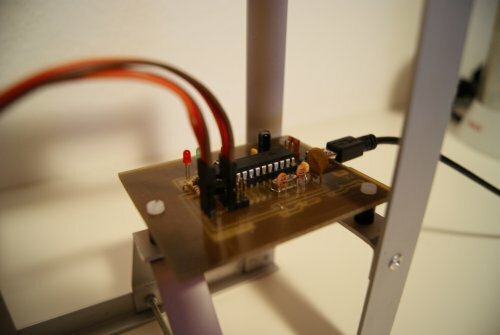 » Today (22.12.2010) I added a Python based Webserver to the project download, so that the DeBagger can be operated and monitored from any web-enabled device, such as an iPhone (or any other smartphone). 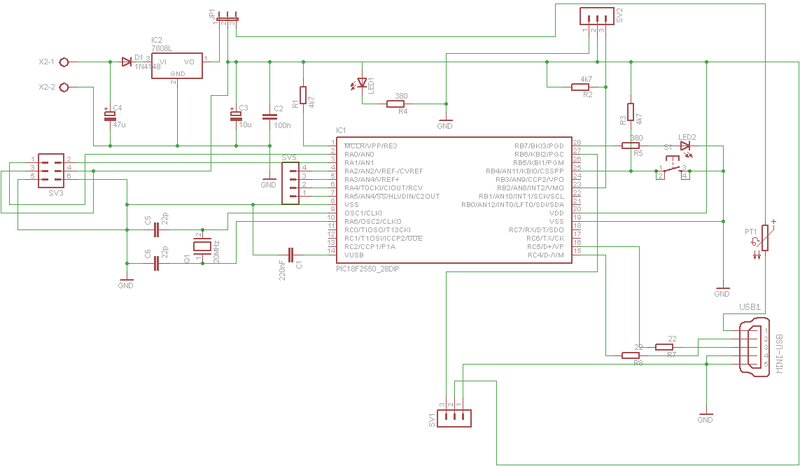 This project also contains a Python wrapper for the Microchip USB-Api DLL. To get it running you need Python (I have 2.6) and Django. To start the Webserver open the command window, go to the DebaggerWebUI directory and type 'python manage.py runserver 0.0.0.0:8000'. Now you can see the webpage from any web-enabled device by opening the website 'http://:8000/debagger/'. You need to adjust the path in urls.py and the TEMPLATE_DIRS path in settings.py.